On November 16, 2018, the United States Court of Appeals for the Federal Circuit issued a decision in Hamilton Beach Brands, Inc. v. F’Real Foods, LLC, No. 18-1274, 2018 (Fed. Cir. Nov. 16, 2018) (Before Reyna, Wallach, and Taranto, Circuit Judges) (Opinion for the Court, Reyna, Circuit Judge). Hamilton Beach Brands challenged the Patent Trial and Appeal Board’s final written decision upholding the patentability of claim 21 of U.S. Patent No. 7,520,662 under 35 U.S.C. § 103. Writing for the panel, Judge Reyna explained that the Board did not err in construing the relevant claim terms. Because substantial evidence supported the Board’s decision, the Federal Circuit affirmed. The patent at issue, USPN 7,520,662 titled “Rinseable splash shield and method of use” (the ’662 patent), relates to a mixing machine for mixing contents within a vessel. The vessel is covered by a splash shield that is positioned about the vessel to prevent contents from splashing out of the vessel. After the contents within the vessel are mixed, the vessel is lowered from the splash shield, and a nozzle positioned on the machine rinses the splash shield. 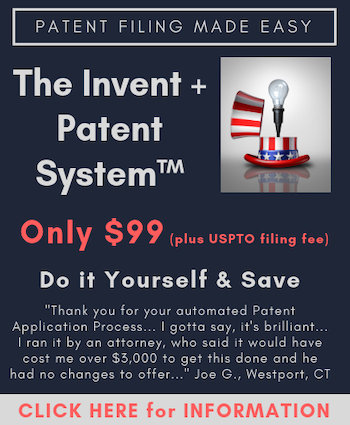 Hamilton Beach (Appellant) petitioned the Board for inter partes review of a single claim of the ’662 patent. The claim language of particular importance included “a nozzle oriented towards a splash shield” and “directing rinsing fluid onto the splash shield using the nozzle.” Hamilton Beach cited three references in support of its argument that the claim was invalid as obvious under § 103. After construing the language of the Claim, the Board found the Claim to be nonobvious. Hamilton Beach appealed. The Federal Circuit’s first step was to consider the preliminary issue of whether Hamilton Beach’s petition for IPR was barred under the one-year time bar of § 315(b). On October 6, 2014, f’real Foods (“f’real,” Appellee) served Hamilton Beach with a complaint alleging infringement of claims in the ’662 patent. During litigation, f’real discovered that it may lack standing to file the complaint because of an assignment mistake during a merger— f’real assigned the patent to a holding company and the patent was never reassigned to f’real. Fifteen months after filing the complaint, f’real moved to voluntarily dismiss its patent infringement claims. On the same day, January 26, 2016, and after obtaining the assignment of the patent, f’real filed a new complaint asserting the same infringement claims. On May 27, 2016, Hamilton Beach filed the petition for IPR. f’real argued that the petition was time-barred, because the original complaint was filed one year and seven months prior to the petition. The Board held that the first complaint did not trigger the time bar because f’real lacked standing to file the complaint, so the one-year bar of § 315(b) ran from the second complaint. In the present case, f’real contended that a recent Federal Circuit decision, Click-to-Call Technologies, LP v. Ingenio, Inc., 899 F.3d 1321 (Fed. Cir. 2018), applies, and the Board lacked jurisdiction to institute the IPR. In Click-to-Call, the Court held that a defendant served with a complaint that is later voluntarily dismissed remains “served” with the complaint. However, this case presented a novel issue of whether a complaint from a plaintiff that lacks standing triggers the one-year time bar. The Court, however, did not reach this decision. As the Court reasoned, a party must file a cross-appeal when acceptance of its argument would result in a reversal or modification of a judgment. Essentially, if f’real is correct, it required a reversal of the Board’s decision to institute the IPR. Because f’real did not cross-appeal the decision to institute, the argument was moot. Thus, the standing issue remains for another case. The next issue for the Federal Circuit was Hamilton Beach’s argument that the Board changed construction theories midstream without providing parties an opportunity to respond, in violation of the Administrative Procedure Act. In support of this argument, Hamilton Beach cited SAS Institute, Inc. v. ComplementSoft, LLC, 825 F.3d 1341 (Fed. Cir. 2016), where the Court held that the Board “may not change theories midstream by adopting a construction in its final written decision that neither party requested nor anticipated.” The Court here, however, easily distinguished the Board’s actions in SAS Institute from the present case. The Court clarified that, in SAS Institute, the Board’s construction was adopted without any further discussion during briefing or at oral hearing; there, the Board adopted a claim construction different than the one the parties agreed to for institution. In SAS Institute, the Court held that it was “difficult to imagine either party anticipating that already-interpreted terms were actually moving targets.” In the present case, however, Hamilton Beach received adequate notice of the construction. f’real proposed a construction for the “nozzle” terms in its post-institution response, which Hamilton Beach argued against in its brief. During the oral hearing, the Board asked Hamilton Beach whether it disagreed with f’real’s position that the nozzle is pre-positioned. Finally, the Court held the Board’s final construction of the “nozzle” terms were “similar enough,” though not identical, to f’real’s proposed construction so as to not constitute changing theories midstream. The Court ultimately upheld the Board’s constructions of the limitations at issue because those constructions were based on the claim language. In finding the Board did not err in finding no motivation to combine the references, the Federal Circuit affirmed the Board’s decision determining the Claim of the ’662 patent was not unpatentable.